Perhaps you’ve indulged in some loaded nachos smothered in cheese and a few (OK more than a few) margaritas to celebrate Cinco de Mayo. But all that cheesy Chimichanga deliciousness isn’t usually the most nutritious way to fuel up. So before you say ole, take a look at our tips and tricks for making your Mexican fiesta (at home or at a restaurant) just a little bit healthier. While creamy, cheesy dishes like enchiladas and fried items (chalupas and chiles rellenos) pretty much have no hope of being a truly healthy meal, there are other items that can easily be altered to keep them from obliterating your diet. (We’re not saying don’t ever go for the enchiladas or fried goodies, just do so more sparingly!) 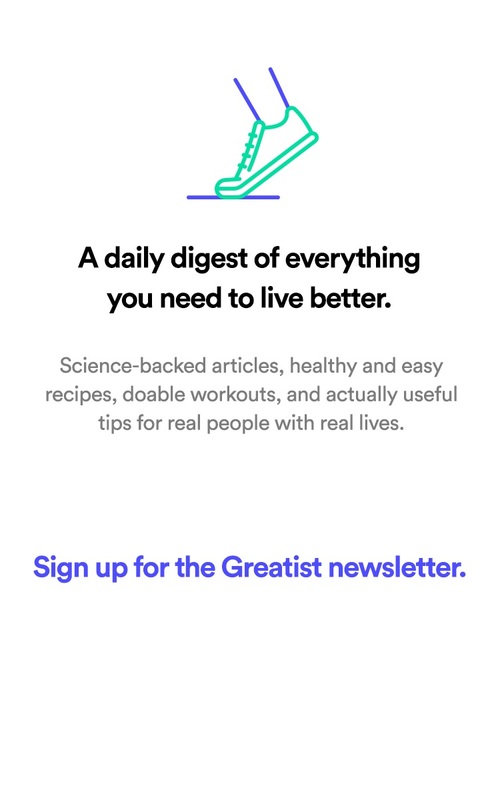 Here are some of those things that are easier to alter to make a bit healthier. Instead of choosing marinated meats cooked in a skillet full of fat, ask for your protein grilled, roasted, or baked, and see if they can eliminate the extra oil. It’s easy to look for a few key words to find their healthier items: Grilled meats are typically listed as “asada” (carne asada means grilled beef, and pollo asado refers to chicken). Dishes like tacos al carbon (which translates to cooked over charcoal) and fajitas tend to use thin slices of steak rather than ground meat, making them good choices too. Mexican restaurants generally offer some great fish and shrimp options. Curious about where your seafood is coming from and what's safest to eat? Consult our how to choose the safest seafood infographic). Beyond fish tacos, try spicy grilled shrimp (called camarones) or fish bakes—often light, white fishes, such as tilapia, served with tons of veggies and flavored with fruit salsas. Broiled salmon is also available at many Mexican restaurants for a healthy dose of omega-3s (one of which research suggests may help protect against UV-induced skin damage) Eicosapentaenoic acid inhibits UV-induced MMP-1 expression in human dermal fibroblasts. Kim, H.H., Shin, C.M., Park, C.H., et al. Department of Dermatology, Seoul National University College of Medicine, Seoul, Korea. Journal of Lipid Research, 2005 Aug;46(8):1712-20. . Though the word salad may sound healthy, Mexican-inspired salads tend to be the opposite with handfuls of cheese and way too much sour cream. Skip the tortilla strips and loads of cheese, and ask for the guac on the side. And make sure to pass on the fried tortilla bowl that Mexican restaurants often serve their salads in and ask for a conventional bowl (you know, the non-edible kind). Request salsa instead of salad dressing for a low-fat, low-calorie replacement, or just go with a squeeze of lime over the top for a kick of citrus flavor. As an alternative to ordering a giant meal, choose a few sides or appetizers to snack on instead, or order a single taco plus sides for a well-rounded mini meal. Most Mexican restaurants offer plantains or grilled vegetables for a vitamin-filled lunch. 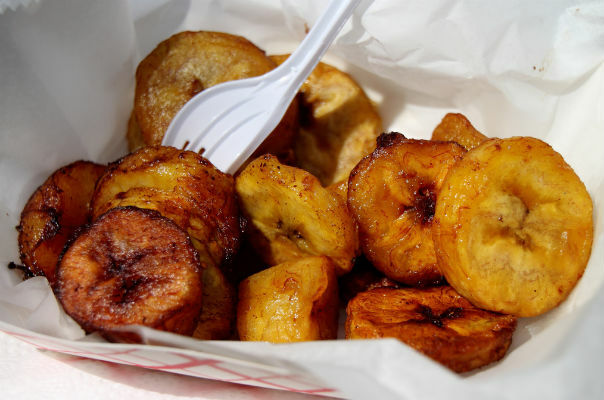 While the plantains are often fried, you can usually ask for them baked. Rice and beans are another healthier side option because they make a complete protein (meaning they contain all 10 essential amino acids). Ask to have the rice cooked without extra lard or oil, and top it with salsa or a little guac for some added flavor. Another tasty yet light topping option: lime juice and chopped cilantro. Mexican drinks are known for being loaded with sugar or corn syrup-laden sour mix (we’re lookin’ at you, Mr. Margarita). To order a lighter marg, pass on the sweet-and-sour mix and agave nectar (bars tend to go overboard on the sweetener), and simply ask for tequila, a little triple sec, a splash of club soda and a bunch of lime wedges. 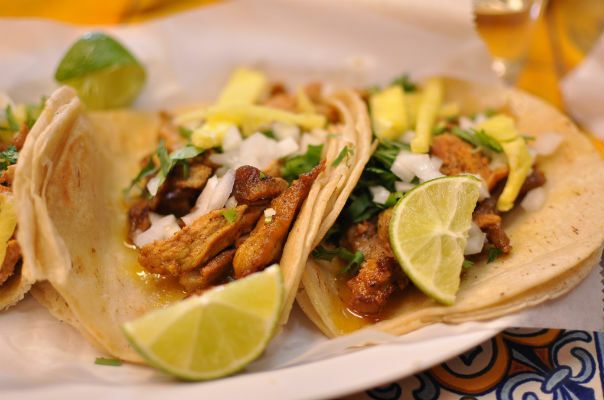 And as much as it may feel sinful to skip out on a margarita when downing tacos, a light beer or wine will generally have fewer calories and sugar. 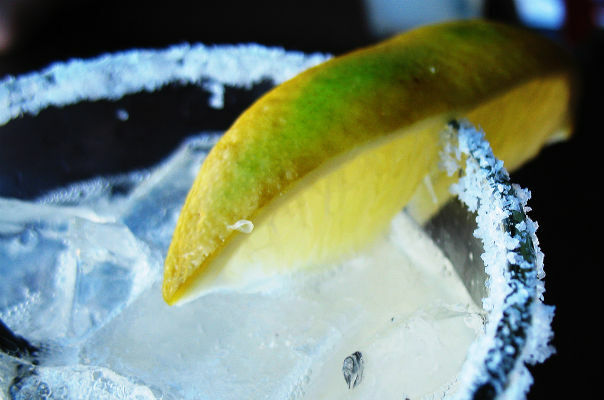 If you’ve got to have that margarita, you can always order one, then switch to a light beer or a non-alcoholic beverage. 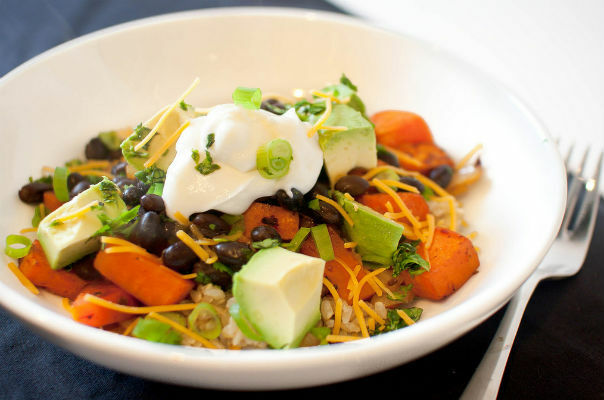 So now that we’ve given you the low down on some of the most important facets of Mexican restaurant dining, we’ve rounded up a few of the healthiest dishes and (how to make them even healthier). 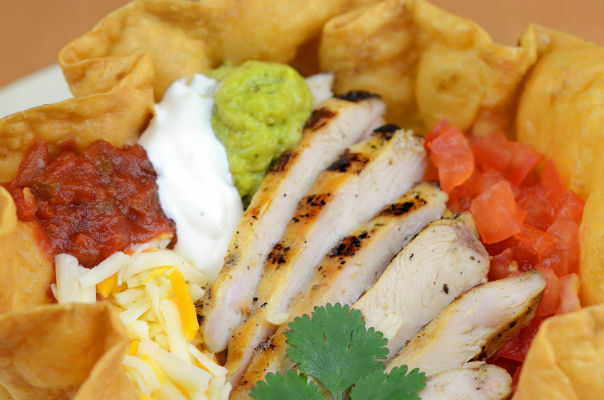 Skip the tortilla, and ask for your burrito in a bowl. By ditching the wrap, you can save a few hundred calories made up of refined white flour. Nix (or go light on) the rice, and ask for a healthy helping of peppers and onions, and you’ve got yourself an even healthier meal. It’s easy to fill up one of these bowls with light toppings such as lettuce, tomatoes, and jalapeño peppers. Choose grilled chicken or steak for lean, healthy protein. Typically found in South American restaurants, this dish is traditionally made by soaking bite-sized pieces of raw seafood—such as shrimp, cod, or halibut—in citrus juices. Though the fish is not actually subjected to heat, the acid from the citrus juice “cooks” it. 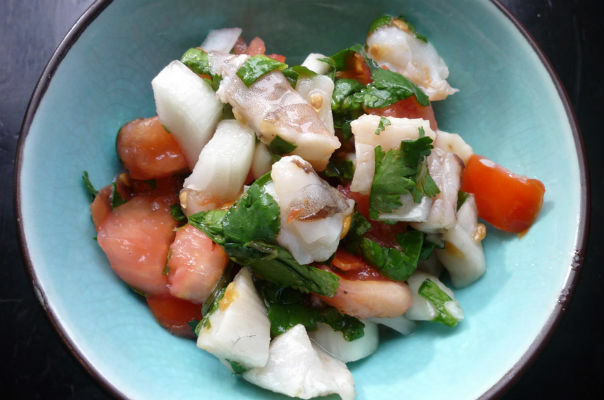 Ceviche is then spiced up with chili peppers and other seasonings like onion and sea salt. Ask for steamed rice instead of yellow rice (which may contain tons of butter) for an even healthier high-protein meal. Eat it as an entrée or share as an appetizer. 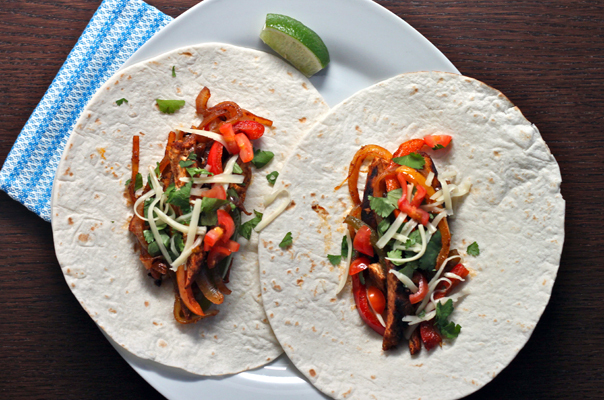 Probably one of the most recognizable meals on the menu, fajitas can get sloppy (and unhealthy) in an instant. Instead of glopping on sour cream, a heap of refried beans, and an overly generous dousing of shredded cheese, go easy on the toppings. Fajitas can actually be a healthy choice when paired with grilled chicken or beef, plus tons of veggies including peppers, onions, and tomatoes. If you’ve simply got to have a little sour cream, ask for it on the side! 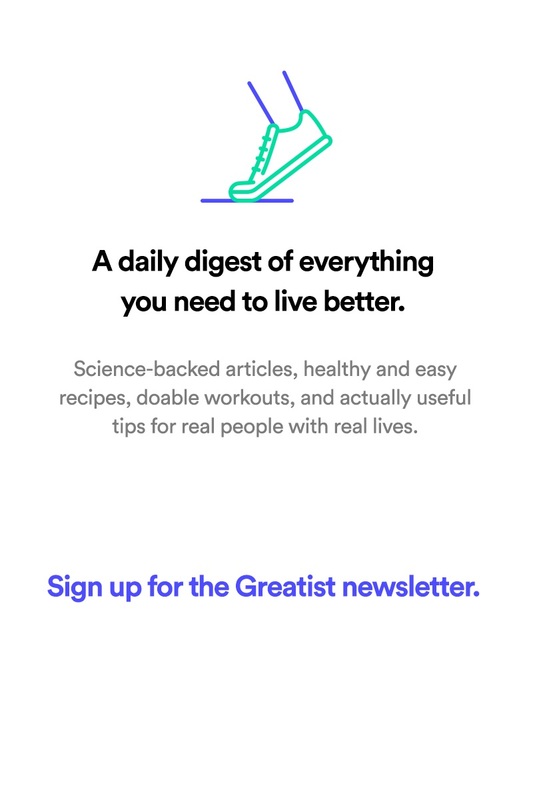 Another easy way to cut unnecessary calories? Skip the tortillas and enjoy the veggies and meat straight from the skillet or serving platter. Tacos likely don’t sound like the healthiest option on the menu, but we’ve got to hand it to these little guys for their instant portion control. Instead of a colossal burrito stuffed to the max, tacos make it easy to eat just a little bit less, and pace yourself when preparing the next one. 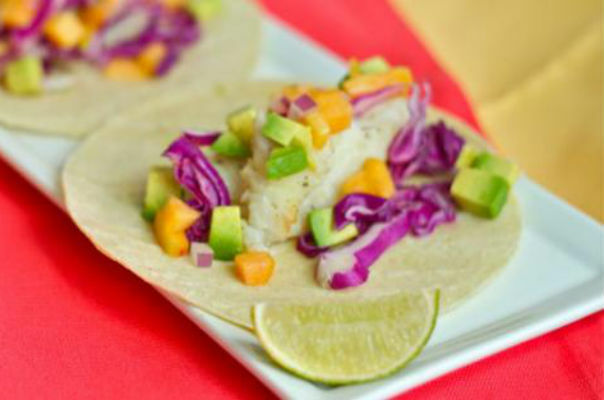 Fish tacos make a nice light meal with lots of healthy protein. Ask your server if the hard taco shells are baked or fried. 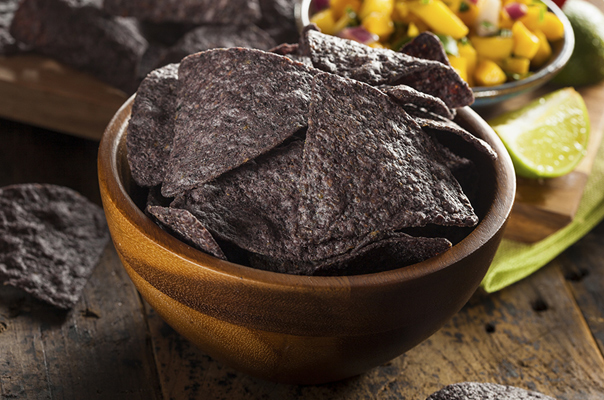 If the crunchy shells are fried, choose soft tortillas for less fat. Corn tortillas tend to be a healthier option too with less fat, about half the calories, and a simpler ingredient list. For an even lighter version, ask for lettuce wraps. Request extra veggies instead of rice and cheese, and fill up on shredded lettuce, diced tomatoes, and salsa. What’s your favorite way to healthify a Mexican feast? Anything we missed? Let us know in the comment section below!